Georgia Tech serves a vibrant and diverse workforce at one of the nation's top public universities. Georgia Tech employees receive one of the best total rewards packages, including competitive pay, insurance coverage, and much more. 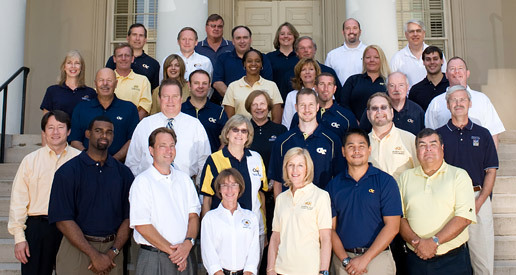 As a Georgia Tech employee, you will receive a generous amount of vacation. Additionally, the Institute recognizes twelve holidays per year. 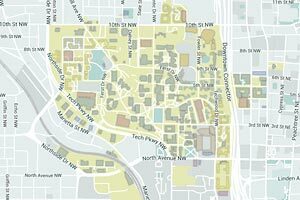 Georgia Tech strives to enhance our employees’ total experience while working here. Helping individuals find a balance between their work and family life allows them to be successful employees. Learn about staff diversity, inclusion, and engagement programs. Our training and development courses are designed with your career in mind. Our programs are targeted at all levels of employment (managers, leaders, office professionals, customer service, etc.). Courses are designed to enhance your performance and your career. Georgia Tech also offers tuition remission and reimbursement for degree programs.